This facility enables you to create a report detailing the differences between your MySQL Workbench model, and a live database or script. 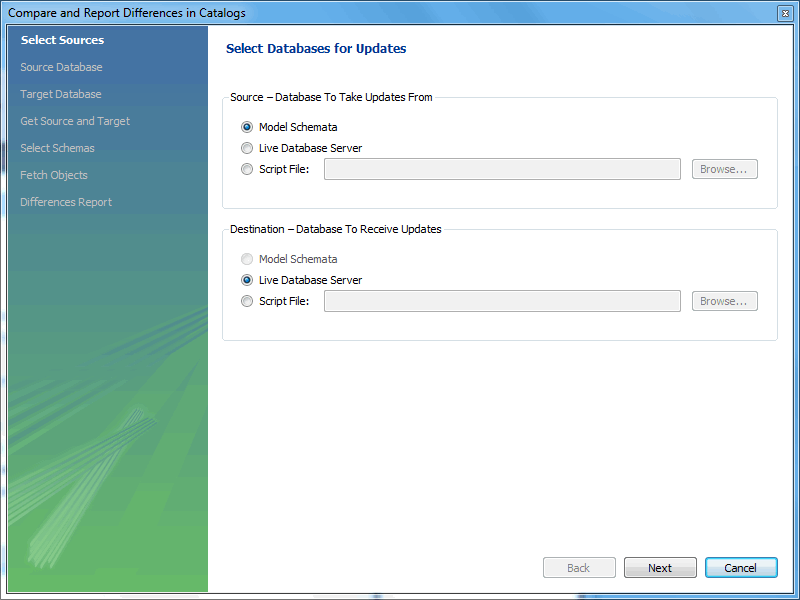 Choose Database, Compare Schemas from the main menu to run the Compare and Report Differences in Catalogs wizard. As the following figure shows, the first step in the wizard enables you to specify which catalogs to compare. For example, you may choose to compare your live database against your current MySQL Workbench model. You then proceed through the wizard, providing connection information if accessing a live database. 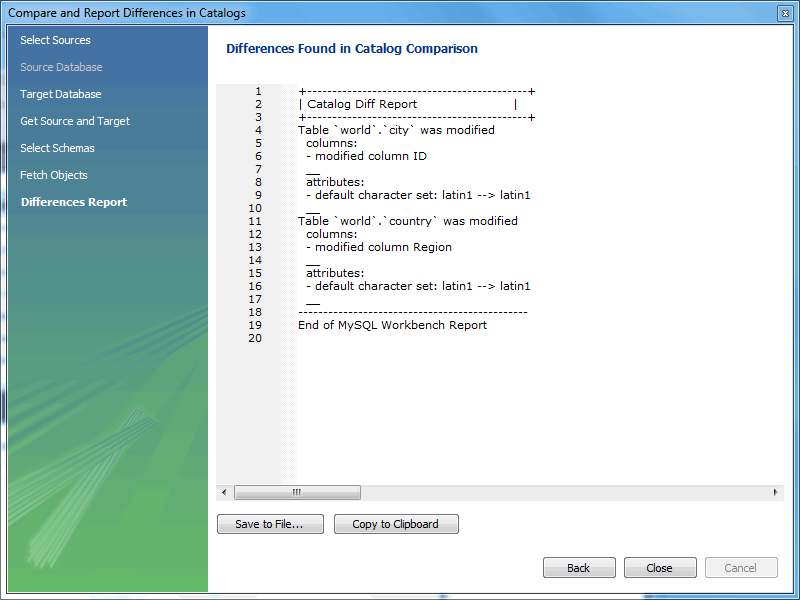 The wizard then produces a catalog diff report showing the differences between the compared catalogs, as the next figure shows. To clarify: this option is only available on the model tabs. Not in the connection tabs.